A few years ago, my other half James decided to take the plunge into the world of self-employment. He’d worked in a secure, stable council job for 10 years. It had its benefits, of course, but he decided he needed a new challenge. And the significantly higher hourly rate and flexibility were well worth it. It didn’t come without its risks, of course. Although his move into self-employment was within the same field of work, as a locum, the fact that he was responsible for his own affairs, such as tax, pension and leave, made all the difference in the world. He knew that if he was poorly, he’d have to decide whether he was too unwell to be able to earn any money that day. When we took a week’s holiday with the kids, he knew he’d have to budget for it well in advance. If a client decided he was no longer what they looking for, they could give him just a week’s notice. Initially, he registered with what they call a PAYE umbrella company. Basically, he was technically an employee of this company for tax and national insurance purposes only. He could continue to ply his trade separately from them. The idea is that you pay them a weekly fee in return for which they deduct your tax and NI for you. A few months later, a friend of ours who was also working as a locum in the same field said “why don’t you set up your own limited company? You’ll pay even less tax and you can even offset many of your business expenses.” We were driving around in an old car and found out that we even could qualify for a business car lease with companies like Blue Chilli Cars. 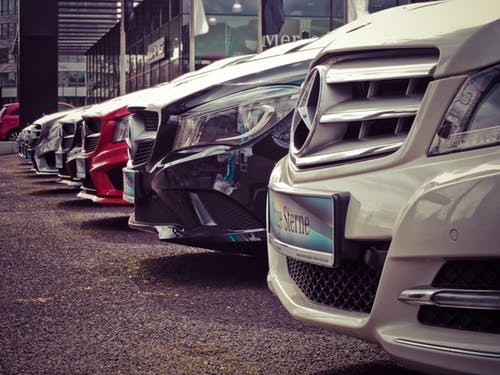 With a business car lease, you can get a brand new vehicle for a fixed monthly price and even offset 50% of the VAT! Frankly, we had thought of that option initially but fear got the better of us. We just didn’t want to make any mistakes and the idea seemed pretty complex. Limited companies are for people who have employees and are stable businesses, right? So we started looking into it. And we were pleasantly surprised. For starters, we learned that you can actually set up your own limited company with yourself as the sole director. You can even do this if you are the only person working for the company. Basically, this is what most of us refer to as a “sole trader”. Our biggest concern was ensuring that we didn’t fall foul of any financial rules or laws. Thankfully we discovered that there are umbrella companies like One Click Group that can also help you set up your own limited company and offer a company accountancy service. We went for it and were taken aback at how stress-free it actually was. The process can be completed online and the company even registered on the same day. James talked about how his father had set up a limited company in the 80’s and he remembers how complicated it all was. So to be able to do it online and with a couple of phone calls was awesome. This all said it’s always the responsibility of a company director to be well informed of the technical process and your duties as a director. Ultimately, paying someone to administer things on your behalf does not negate your legal responsibilities. 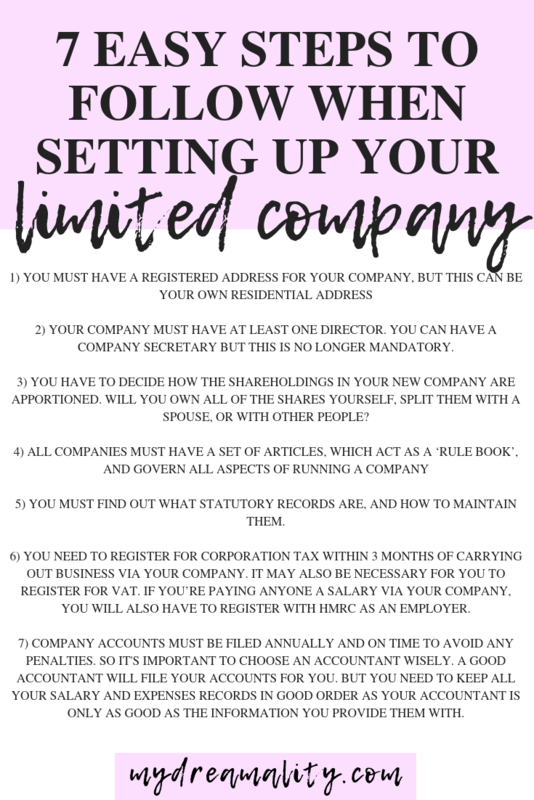 So here are some things you should know about setting up a limited company before you take the step. If you’re thinking of setting up your own limited company, take it from me that done (and managed) properly, it will reap significant benefits. If you already run your own limited company, it would be great to hear about your experiences.